Exchange backup is the support system of every user who is using Exchange Servers. There is no doubt that Exchange Servers are the backbone of organizations dealing with day to day communications. It is capable of handling and running thousands of user mailboxes. There are many responsibilities that are rested upon Exchange, so it is advised for administrators to safeguard all the important information by running regular backups. Let’s know more that how these backups can be used to restore all the EDB files from VERITAS backups. The mailbox extractor application is incorporated within Kernel for Exchange Server Recovery which is principally designed to extract data from Exchange backup files i.e. BKF files containing NT Backup, Symantec Backup, VERITAS Backup, HP Backup, and CAARC backups. The tool extracts EDB mailboxes that are stored within BKF files. It can very easily convert, or export extracted EDB files to PST, Exchange Server, Outlook profile and Office 365. 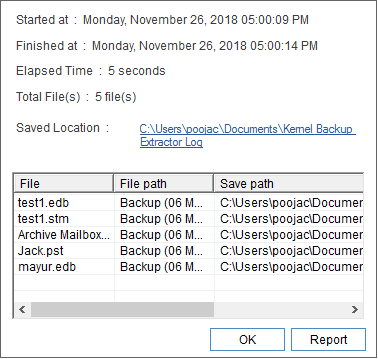 Backup Extractor utility is a life savior which easily holds a grip on lost, damaged or inaccessible BKF files and gets back the access to complete user mailboxes. How to Restore EDB files from VERITAS Backup? The process of extracting EDB files is simple with the help of Exchange Server Recovery software. You need to follow a few simple steps and all the EDB files will be extracted from VERITAS backup. STEP 1: Start Kernel for Exchange Server software and look for Extract Backup in the menu bar. 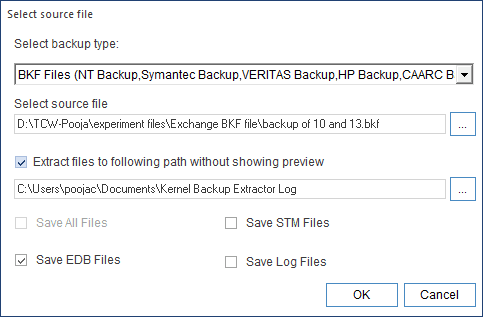 STEP 2: Click on Browse and select BKF file (VERITAS backups are included in BKF files) from your computer to extract EDB files. Select EDB files amongst the options and click OK. STEP 3: Finally, all the EDB files contained in the backup file will be extracted and saved at the desired location on your computer. Please Note: You can also save the report of the extraction process and examining the details in the future. With the help of above-listed steps, you can successfully extract EDB, STM, or LOG files data from healthy backup files as well as damaged BKF files. As you know Backup Extractor utility is a part of Kernel for Exchange Server Recovery which is designed to convert and export EDB to PST file format and other platforms hassle-free. You can also recover corrupt Exchange Backup files with the help of this tremendous tool. It is a must-have toolkit for every Exchange Administrator for instant recovery solution in their list of technical tools. How to Import Calendar from EDB to PST File? How to Import Contacts from EDB to PST File? 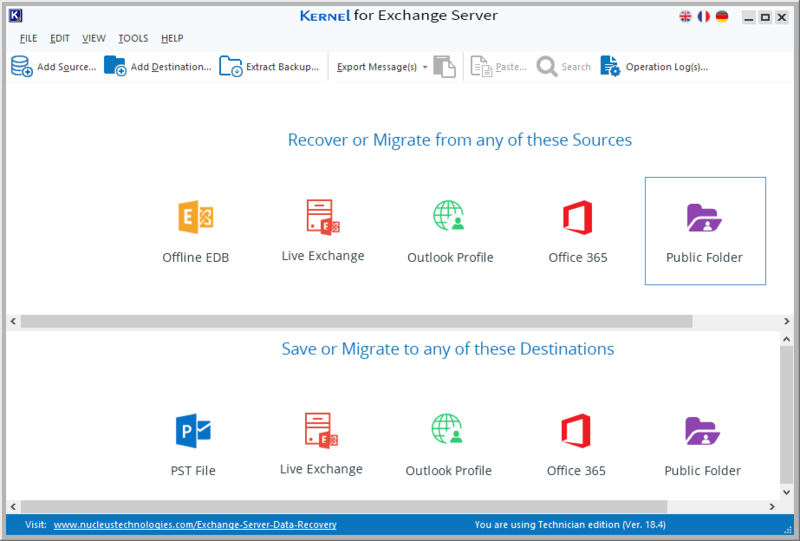 How to Recover Multiple Mailboxes in Exchange Server? Kernel® is a Registered Trademarks of Lepide Software Private Limited. © Copyright 2019 Lepide Software Private Limited. All Trademarks Acknowledged.